It’s become increasingly popular to take your hunt for clothes, furniture and other quirky items to thrift stores. And Michigan is home to some true gold mines. Resurrecting old styles through eclectic fashion is easy in Michigan because of the vast variety. Find your next vintage T-shirt or designer handbag at one of Michigan’s great thrift stores. The Trouve Upscale Resale Boutique, found in Shelby Township, managed to land top honors as Readers' Choice thrift shop last year from Metro Times. Called a “hidden gem” that allows shoppers to find not only the basics of wear, but also a variety of higher-end material at bargain basement prices, which is pretty much the fundamental nature of a thrift shop. Throw in the endorsement of a whole lot of shoppers and the value of Trouve shines through. It's hard to pass up an opportunity to support a good cause just by shopping, and that's what's going on in Westland at the Disabled American Veterans Thrift Store. Featuring a bargain special where seniors and veterans get 25 percent off all purchases Monday through Saturday, and frequent tag sales that are said to be “intense” by those who've shopped these, the DAV store boasts everything from clothes to DVDs to furniture and beyond. With locations in both Clawson and Pleasant Ridge, Regeneration New & Used Clothing knows its customer base fairly well. Featuring an entire section specifically geared toward Halloween items, those looking for that special piece—or pieces—to round out a costume will likely find it here. Said to be packed to the gills with shoes, hats and beyond, a trip to Regeneration is a dress-up haven. Throw in the occasional coupon deal—check their website—and the end result is value and fun for all. Three Rivers is home to this little wonder of a shop, a bi-level affair that starts with several street-facing show windows and packs itself to the gills with offerings both upstairs and down into a true bargain basement setting. Offering clothing, collectibles, and most everything for the kids from video games to sports equipment and beyond, Centisible Treasures represents not only a continually-changing bill of fare, but also an organization that has the credibility of a membership in the National Association of Resale & Thrift Shops. Again, the call of doing good by shopping is hard to resist, and Ann Arbor's PTO Thrift Shop—purchases from which go in part to local schools—offers just such an opportunity. Where to begin in offerings? There's everything from clothes to housewares here, and there was even a piano featured there at one point. A piano! An actual piano! How does anyone go through life without wanting to check out the place with a used piano? For those who have ever hit an estate sale to check out the often unusual goods contained therein, Schoolcraft's Your Estate Outlet is exactly what you need to see. It operates almost like a continuously-running estate sale, featuring glassware, housewares, clothes, electronics and more at prices that are plenty far off retail. Family-run and packed with bargains, this former factory is now stuffed full of frequently-changing goods at low prices. Benton Harbor's 6 Degrees Retail Store—built around the idea that everybody on Earth knows everyone else on Earth by a separation of six degrees—offers not only a “funky eclectic retail experience,” but also a connection with Emergency Shelter Services Inc., so shopping here will do some good in the long run. Featuring clothes, furniture, and just about everything else that can fit under the banner of funky and eclectic, the fact that they take Visa and MasterCard is even better. Instead of one store, Traverse City has a slew of them, all handily organized into what's known as the Traverse City Resale Trail. 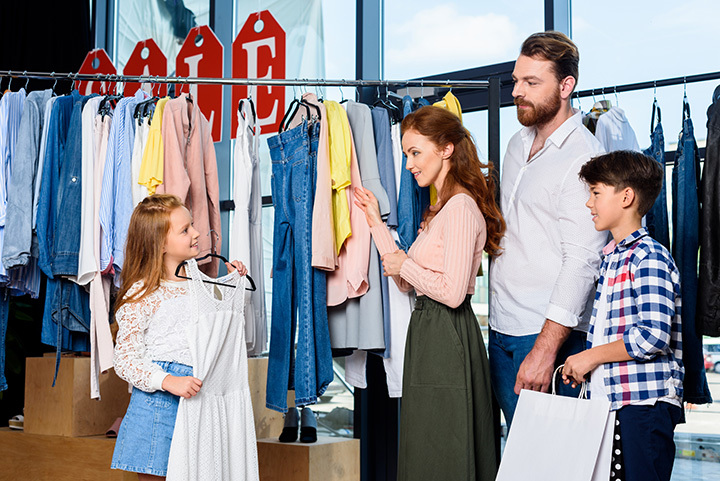 A complete roster of stores from child-specific stores to stores connected to food pantries and the like, the Resale Trail even offers a complete brochure with map, so you'll know exactly where you're going to go “thrifting” in Traverse City. Fair warning when you go to Pak Ratz Resale—which supports not only a harbor house but also the women's center for Marquette and Alger County—in Marquette, as a sign announces that unattended children will be given espresso and a free puppy. Seriously, though, Pak Ratz offers most everything from Christmas gear to furniture and beyond, so this constantly-changing dose of Upper Peninsula thrift shopping should deliver on most every front. New 2 You Shoppe in Grand Rapids represents a massive array of thrift shopping possibilities under one roof. While there's certainly a lot going on here—with electronics, glassware, housewares and more under one roof—it's also said to be extremely well organized. Couple a massive variety of items with excellent organization and the end result is a shopping experience that's easily a match for big box stores with brand new items.